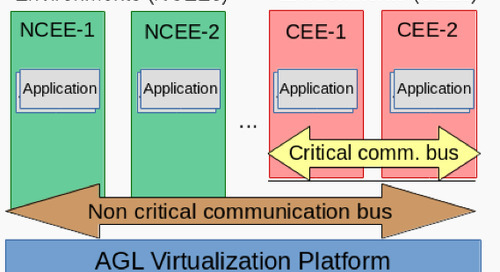 A connected car is a vehicle in which the user (driver and/or passengers) can access, download, consume, send, and share information through vehicular communications systems, such as vehicle-to-vehicle (V2V), vehicle-to-infrastructure (V2I), vehicle-to-broadband cloud (V2B, with monitoring data center), vehicle-to-human (V2H; with road users, pedestrians, bicycles), and vehicle-to-sensor (V2S, with the sensors embedded in the environment). Moreover, it can connect with other devices in and out of vehicles at offices, homes, infrastructure, institutions, and even other cars. According to a recent market report, an increase in disposable incomes and technological production across regions is the major driving factor for the connected car market. There have been significant advances in telecommunication technology over the past few years. These advances have offered the population a new level of connectedness. Following the advancement in the connected cars, onboard sensors, vehicle telematics, and infotainment technology evolved to offer varied applications, ultrahigh definition touch displays, high-speed internet on-the-go, and navigation tools. Demand for better road safety coupled with greater comfort and convenience for passengers bolster uptake. The connected car market is driven primarily by the growing deployment of automotive electronics and advanced technologies in vehicular systems. The drive for these technologies stems from the substantial role these play in providing increased road safety, greater comfort, and wide entertainment options for passengers. The growing adoption of automotive digital technologies in enhancing the in-car experience for users is a notable factor accentuating the market growth. The growing demand for infotainment services occupies a crucial role in the rapid expansion of the connected car market. Coupled with this, the growing demand for services that enable vehicles to connect and continuously enrich with the outer surrounding area is a key trend expanding in-vehicle infotainment. The demand for immersive information user experiences has gathered steam among passengers of high-end cars and luxury vehicles. A governmental mandate on increasing safety of passengers is expected to provide robust demand. Various government obligations in emerging and developed nations on promoting the safety of passengers have imparted a robust fillip to the growth of the market. The stringent implementation of vehicular safety among automakers and original equipment manufacturers is also bolstering the demand for better connectivity options in the automotive industry. The bold strides taken by vehicular information technologies such as adoption of 4G connectivity for improving the in-car experience is catalyzing the market growth. 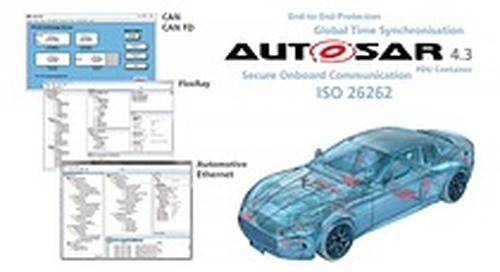 By connectivity solution type, the connected car market is divided into embedded, integrated and tethered solutions. Embedded connectivity clutches major of the connected cars market share, wherein integrated and tethered connectivity solutions are following up close. However, this scenario is expected to change, as integrated solutions have started occupying the market share of the connected car market. The objective for this drastic paradigm shift is attributed to the user’s freedom of choice in customizing their data plans and connectivity devices. Navigation, telematics, and infotainment are the major applications of connected cars market. Navigation holds the largest share in the connected car market. Large scale adoption of the navigation service into the connected cars is emerging as the growth factor. Geographically, the market is segmented into North America, Europe, Asia-Pacific, Middle East and Africa, and Latin America. North America stands as the largest shareholder in the connected car market. The Asia-Pacific region is anticipated to show prominent growth in the years to come, owing to the rapidly growing population, growing infrastructure rise in the disposal incomes, and a large presence of youth. The major players in the global connected car market include General Motors, Microsoft Corporation, Verizon Communications, Toyota Motor Corporation, Hyundai Motor Co., Delphi Automotive, Mercedes-Benz, Gemalto, Sierra Wireless, Audi, BMW AG, Ford Motor Company Bosch, Continental, Harman, Denso, ZF, NXP, Infineon, and Valeo among all the others.